Like many large nursery associations in the United States, the Minnesota Nursery & Landscape Association (MNLA) has a big, broad spectrum of members it represents: nursery stock growers, commercial flower companies, landscape design firms, irrigation companies, arborists, lawn care business, mom-and-pop shops, massive agriculture operations — and just about anything else in between. “Basically if it’s not asphalt and it’s outside, we represent them,” said Cassie Larson, executive director for the 1,100-member MNLA. Having such a strong and varied foundation is part of what gives the MNLA the leverage and clout it has when it comes time to advocate for the nursery and landscape industry at the state and federal level. But it can also make it challenging for the association itself to meet every member’s needs all the time. Throw in the ever-evolving list of challenges that roughen the terrain for nursery and landscape businesses — labor shortages, natural resource issues, political shifts — and it’s no wonder that associations around the country often find themselves stretched thin. Yet one thing they’re not doing to meet members’ need? Staying put. Rather, nursery and landscape associations across the U.S. have been changing to adapt to the post-recession marketplace — and to help their members do so as well. They’re refining and expanding their benefit offerings, revamping to appeal to the industry’s next generation and otherwise evolving to make sure their members are sowing for success. Many of the challenges that those in the nursery and landscaping industry face are longstanding ones: labor shortages, regulations, taxes, immigration reform and health insurance, to name a few. There’s also always economic uncertainty, as well, especially in an industry that was hit hard by the Great Recession. In Oregon, for example, the No. 3 state in terms of nursery production, what had been a $1 billion industry plummeted to $600 million at the depth of the recession. According to Stone, roughly one-third of Oregon’s nursery producers simply did not make it through the downturn. It also made growers more conservative in their strategies and left buyers looking for shorter purchasing timeframes — the so-called “just-in-time” buying — as opposed to those that stretch out over multiple months or years. The industry is also going through a transition from one generation to the next, and that’s causing changes and hiccups of its own, both in the industry and at the association level. Younger professionals in the industry are running their operations differently, and in some cases, the exiting of older workers has exposed the lack of younger talent in the nursery employment pipeline. Along with that generational transition has come a shift in how association members do everything from communicate and get together to even volunteering to work on committees. Where once associations were the go-to for in-person networking and communicating, the rise of social media and other technological advances have changed the way some members stay connected. There’s also the simple reality that many members just don’t have the time they used to. “Members are more time-starved than they’ve ever been, sometimes because they don’t have enough employees, so they have less time to volunteer,” Larson says. It is to these changes and challenges that nursery and landscape associations have reacted and repositioned to better meet members’ needs. On the communication front, the Massachusetts Nursery and Landscape Association, has upped its social media game with a dedicated coordinator, executive directory Rena Sumner said. That coordinator focuses not only on outreach for the association, but is also available to help members improve their own social media outreach as well. Sumner was quick to note, however, that the association is not necessarily working on increasing the volume of its communication outreach efforts, but on ensuring that its messages are of utmost value to members. That’s key in today’s world of “contact overload,” she said. Stone says the OAN has been adding value for members by way of increasing both networking opportunities and educational offerings. The association has supported some training in Lean/Kaizen, which is an approach to simplifying processes and do more with less. Those increased offerings are also an effort to ensure that members are talking to each other and working together. Workforce has become a huge focus for associations all over the country, and not just the shortage but the next generation that will work in the industry, too. 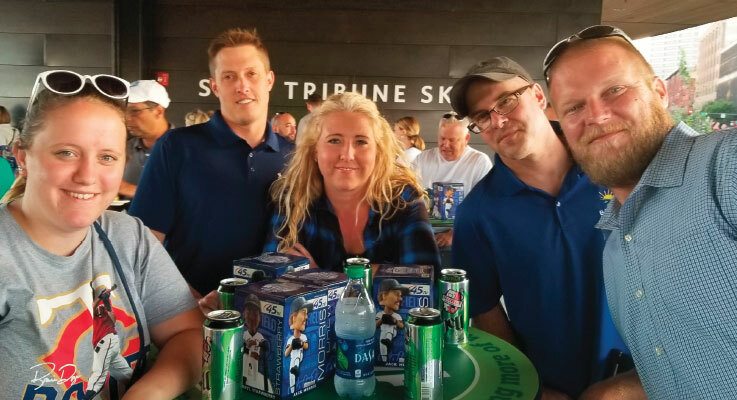 A few years ago, the Minnesota association created a Green Industry Leadership Group that helps members develop new managers, foremen and others in leadership roles. In addition, the association hired an outreach coordinator to work with high school agriculture teachers to get nursery and landscape curriculum into the classroom. Similarly, Larson said the MNLA has developed a template set of job descriptions for business owners to use that helps map out a longer-term career in the industry. That way, those new to the industry can see a path upward and know what they need to do to progress. The FNGLA itself holds two career day events for junior high and high school students and FFA members each year during its trade shows, drawing hundreds of potential professionals. Likewise, the Massachusetts association will hold its third-annual statewide industry job fair in 2018 to attract new talent into the field. In addition to educational, workforce and outreach efforts, associations continue to offer other benefits to members as a way to help them find success. Some are standard — newsletters, magazines, tradeshows, training opportunities — while others are more unique to a particular association’s needs. Stone cites the OAN’s online and print nursery guide as a valuable benefit, as well as a healthcare plan that’s available to members through a vendor partner. The association also offers 30 minutes of free legal counseling per month and a discounted fuel program. The FNGLA recently overhauled its job board, where members can post openings for free, and it now has a Chapter Grant program that lets association chapters apply for $500 grants to help with events and activities. But Bolusky and other association directors note that for associations to truly serve their members now and in the future, it’s not about the quantity of benefits, but the quality. Programs that help build the future workforce, communicate industry concerns to elected leaders and keep the industry connected and thriving are key, as are those that can help boost nurseries’ bottom lines. Finding that right blend is what will help associations maintain their key role in the industry for years to come. The following are associations serving the green industry in the United States and the rest of North America. For more information check their websites. Tennessee Nursery & Landscape Association Inc.